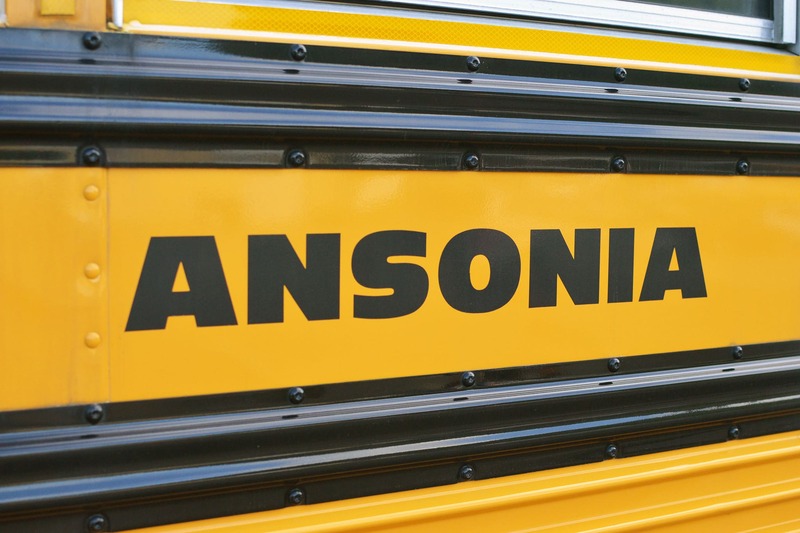 The school bus routes for the Ansonia Schools are listed under the school that your student will be attending. You can find bus routes here. Parents should check the school district website for information about early dismissal days (for example: conferences and early release days). Here is the Ansonia Public Schools calendar. NOTE: Bus schedules are subject to revisions that result from enrollment changes, transfers and address changes. Changes and/or additions will be posted to the school district’s website and residents are encouraged to frequently check the Ansonia Public Schools website. The time for each bus route is the approximate time the bus will make its first pickup in the morning. Adjustments will be made as necessary and as soon as possible. Students should be at their stops 5-10 minutes before the time listed on the bus route. The stop times can vary 5-10 minutes either way, depending on traffic, weather and the number of students riding the bus. Please do not worry if a bus is late, especially at the start of a school year when it typically takes a few days for kindergarten children and new students to become accustomed to the bus routes and schedules. If, however, you have concerns about your bus being consistently late over a period of several days, please contact the Seymour office at 203-888-8816. Listed below are the regular school hours and bell times. Listed below are the school hours for early dismissal and delayed openings. Ansonia High School – 9:15 a.m.
Ansonia Middle School – 10:15 a.m.
John G. Pendergast School – 10:45 a.m.
John C. Mead School – 9:40 a.m.
Ansonia High School – 12:20 p.m.
Ansonia Middle School – 1:20 p.m.
John G. Pendergast School – 1:50 p.m.
John C. Mead School – 12:45 p.m. The buses traveling out of Ansonia run on Ansonia’s schedule. Weather conditions in Connecticut may vary dramatically from town to town. All-Star Transportation will ensure safe transportation for all students. For delayed openings and cancellations due to inclement weather, please listen to local radio and television stations. Assumption School students ride buses 1, 10, or 12. Students are assigned a bus and a designated stop for pick up and drop off prior to the school year. Please call All-Star at 203-888-8816 with questions. Emmett O’Brien students ride buses 6 and 11. They are picked up and dropped off at designated stops in Ansonia that are assigned prior to the start of school. Platt students ride bus 6 or 11 in the morning and bus 6 in the afternoon. Students are picked up at designated their stops and ride to Emmett O’Brien, where Emmett students are dropped off. Platt students remain on their buses and are transported to Prendergast school, where all Platt students get on bus 6 and are brought to school. In the afternoon, Platt students are brought to Lowes in Derby by bus. There, students get on bus 6 and are dropped off at their designated stops. Any individual seeking a change to a student’s pick-up and / or drop-off procedure must contact their student’s school principal. A child must use the same bus stop five days a week. It can be a different stop from morning to afternoon, but each must be five days a week. All Pre-K and Kindergarten students will be dropped-off at their assigned bus stops and must be met by a parent or an authorized adult / caregiver, or they will be returned to their school. All other students – grades 1 through 12 – do not require an adult present. However, for grades 1 through 5, if a parent or other authorized adult / care giver that is usually present when a student is dropped off is not there, that student will be brought back to school. If a student is uncomfortable when getting off at his or her bus stop, that student also will be returned to school. It is advisable for parents to inform the school if they want their student to be dropped off at their bus stop without an adult being present. In the event a change to a pick-up and drop-off schedule is needed during the school year, parents need to contact the administration at their student’s school. 1. Students should be at their bus stop 10 minutes prior to their scheduled pickup time. 5. If students need to cross in front of the bus, they should wait until the bus driver nods his/her head to signal it is safe to cross the street. If you have any questions, please contact All-Star Transportation’s Seymour office at 203-888-8816 or email [email protected].